1. Go to your Facebook Page. Then, go to Settings. 3. Scroll to ‘Whitelisted Domains’ and add your website’s address. You must have https activated - for help with this go here. Click Save. 4. Now Scroll to ‘Customer Chat Plugin’ and click ‘Setup’. 5. 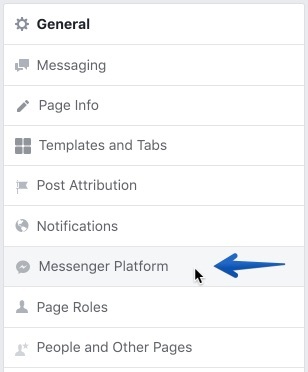 In this section you can select your language, and add a custom greeting message – this will display in the chat window when it initially opens. Feel free to alter these settings, or not, and then click ‘Next’. 6. In the next panel, you can change the response time that is displayed in your chat plugin, and the color theme. Facebook can automatically suggest a response time based on your average response times, or you can select your own. Once you have done this, click ‘Next’. 7. In the next panel, add your domain again, then leave ‘I’ll install the code by myself’ selected. Don’t click ‘Finish’ yet. 8. The code you’ll need to add to your Squarespace site, it displayed on the right of the panel. Simply Click the code box to ‘copy’ the code to your clipboard. Don’t click ‘Finish’ yet. 10. 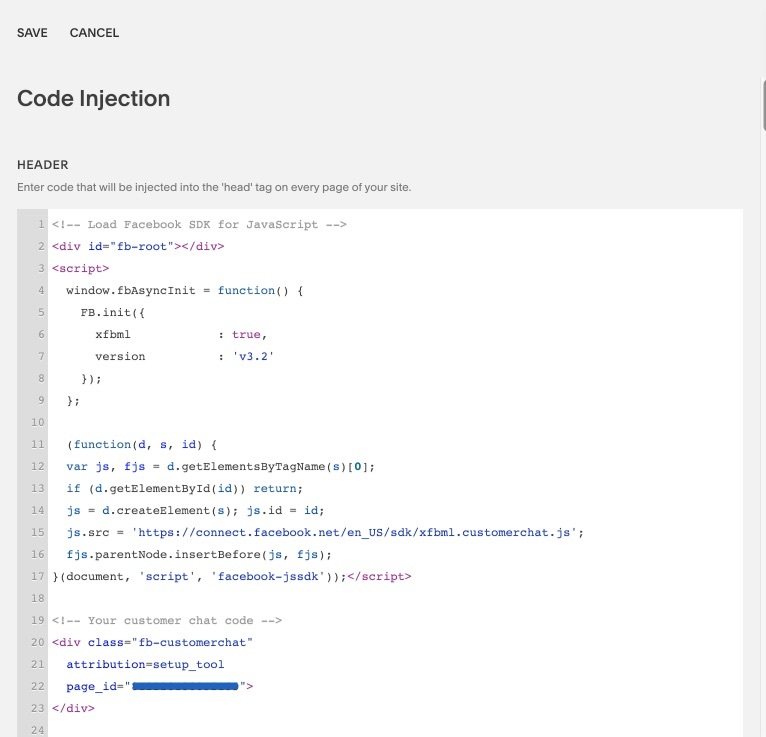 Now Paste the code in your clipboard into the Header Code Injection area. Click ‘Save’. 11. Go back to the Facebook Setup website, and click ‘Finish’, then ‘Done’. 12. Your chat plugin will now display on your live website. It won’t show while you are logged as the logged in domain is a different (Squarespace) domain. Hopefully this guide allowed you to make another significant improvement to your Squarespace website, quickly and easily. For more plugins, templates and goodies, browse the SquareStudio store.